specially designed for wall mounting. 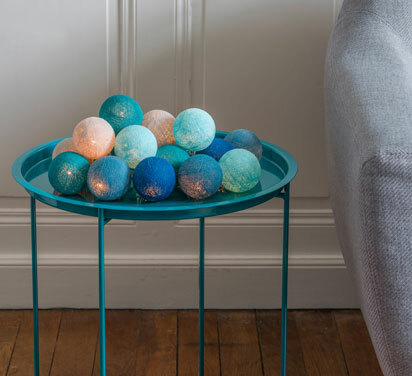 Want a bright IDEA to color your home? 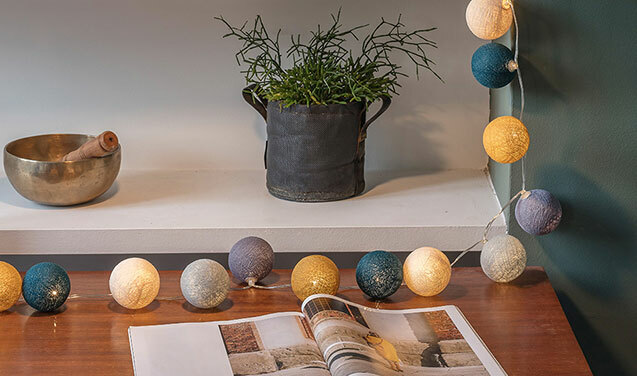 With the small hand-woven ball cable creator, discover a large choice of decorative string lights that you can make yourself or purchase in boxes! Play with the light differently and open up a world of possibilities! 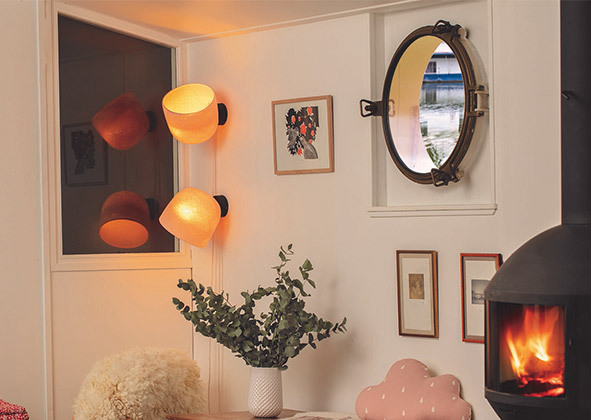 Discover our new wall lamp with its cloche lampshade, specially designed for wall mounting. With a matte black finish, the metal accessory is simply attached to the wall. 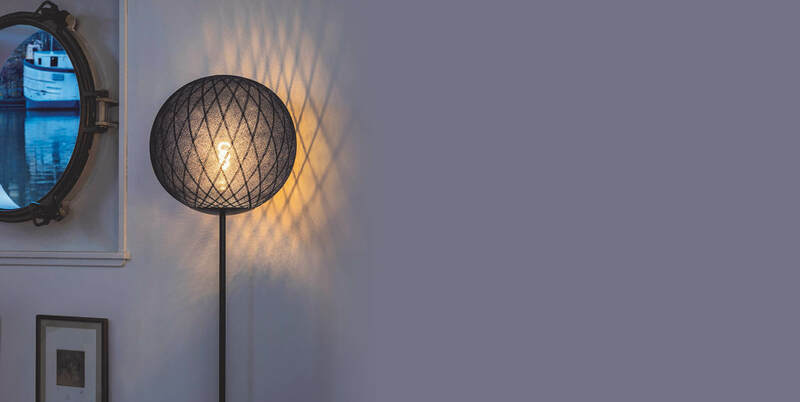 The wall lamp directly connects to your power supply, while the moveable lamp with a coordinated woven cable and lampshade can be set up wherever you want. 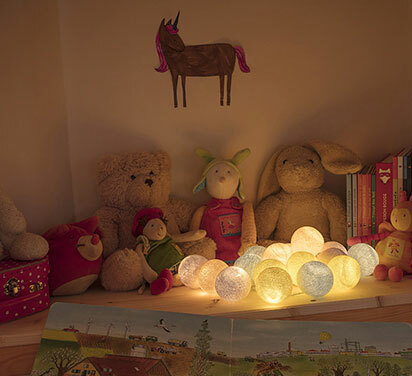 Plug it into any electrical outlet and create a small reading area, a bedside light, etc. 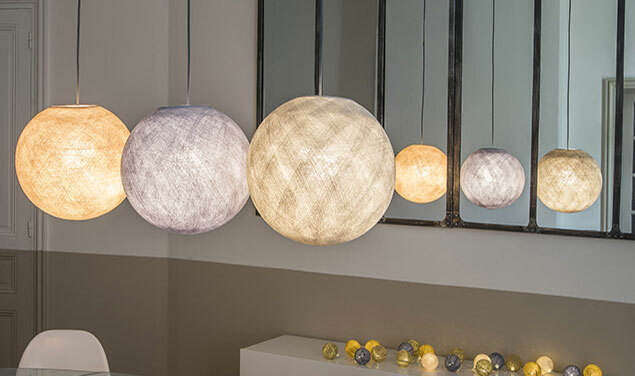 Its adjustable shade allows you to add an accent to your favorite decor, such as a table or console, to diffuse delicate light onto the ceiling ... or to create a graphic effect, such as a bright halo on the wall!